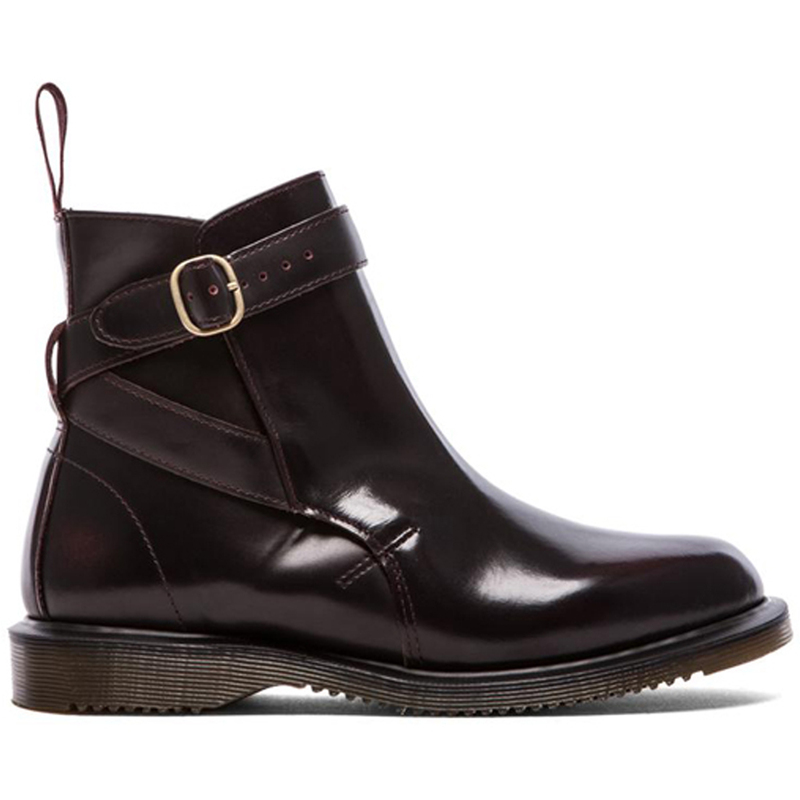 The Jodphur Boot is a vintage style, offered here in either a cherry red high shine, rub-off Arcadia, or a suede/leather mix that is based on some actual 1960s boots found by the design team. The strapping wraps around and under the heel counter and there is a self-scripted heel tag. The slender air-cushioned sole is from DM’s archives, complemented by leather lining and a plain welt.